Mountain climbing in Winter? Who’d do it? Two of Nemo’s Head Office team along with a Nemo member has this year volunteered/doomed themselves to help raise vital funds for the Institute of Cancer Research. Marketing Manager Scott Woodward, Merchandising Manager Sammy Bartley along with Nemo Member John Fitton of Office Supplies Now have signed up for this worthy cause. 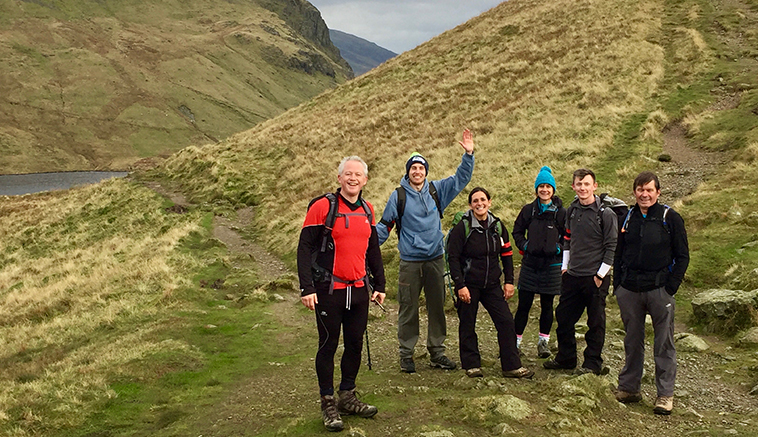 On the 2nd November, the Nemo and BOSS team, next to a host of other teams from the OP industry will be scaling the Langdale Pikes, one of the tougher peaks in Winter conditions where anything is possible, all raising money for a very worthwhile charity. Now in its 31st year of fundraising, the Climb of Life is hoping to beat last years record-breaking figure of £103,000. The challenge is to raise enough in 2018 to burst through the £1 million that Climb of Life have raised for ICR over the last years. You can donate online at Just Giving, all you have to do is follow the link here.